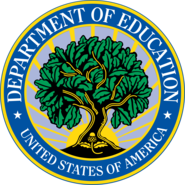 As such, the U.S. Department of Education's Office of Special Education and Rehabilitative Services (OSERS) has released a question and answer (Q&A) document addressing the Endrew F. decision. The Q&A document provides parents and other stakeholders with information on the issues addressed in the ruling and the impact of the court's decision on the implementation of IDEA. Earlier this month, Secretary DeVos published an op-ed article supplementing the Department's Q&A document. I've been very fortunate to get out into the field quite a lot over the past few months, meeting with a wide range of stakeholders from varying sectors of special education. I recently participated in the National Center for Systemic Improvement's Cross-State Learning Collaboratives (CSLCs) convening in Atlanta, Georgia. The CSLCs that met in Atlanta were focused on IDEA Part B programs, and met not only with their team members, who are often from different states across the country, but also with other collaboratives. I also met with local special education administrators, higher education faculty, and other leaders at the 2017 Fall Special Education Leadership Meeting in Columbia, South Carolina. In Syracuse, New York, I participated in a research conference hosted by the American Educational Research Association. We discussed in great depth evidence-based practices and the future of research in special education. Finally, I had the chance to join OSERS Acting Assistant Secretary Kimberly Richey at Virginia Commonwealth University (VCU) in Richmond, Virginia. There we met with staff and leadership at the school's University Center for Excellence in Developmental Disabilities (UCEDD), the Partnership for People with Disabilities; students and staff supported by personnel preparation funding from OSEP; and various faculty and leaders from VCU and throughout Virginia. 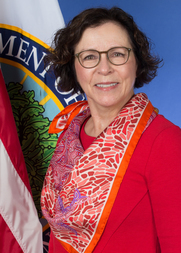 As a last thought, I wanted to thank all of you who provided comments on the Secretary’s Proposed Supplemental Priorities and Definitions for Discretionary Grant Programs. During the Oct. 12–Nov.13, 2017 comment period the Department received over 1400 comments—wow! Your input will be extremely valuable as we move forward to finalize these priorities. Below are some updates from OSEP's Monitoring and State Improvement Planning Division. All preloaded data and prepopulated data, with the exception of the IDEA Part B assessment data which is not yet available, went live on Nov. 27. Additionally, we updated system functionality to include all elements of the new measurement table. You can find SPP/APR resources here. On Nov. 20 we began our roll-out of the 2017-18 DMS notices. We presented helpful information and resources to states. We also released the notices to states, indicating and explaining their designated engagement levels, soon after. OSEP state leads will be in contact with their states to discuss engagement activities for the 2017-18 cycle. We will hold our December National TA Call for states on Thursday, Dec. 14, at 4 p.m. ET. We will discuss expectations for the State Systemic Improvement Plan Phase III Year 2 submissions. We also invite you to view a recently archived webinar from CDC experts discussing the app. 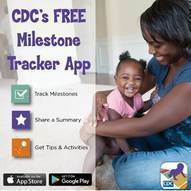 This webinar highlights the Milestone Tracker’s unique features and explains how it can be used to engage families in tracking their children's development. We are now in the midst of data submission season for states, and the IDEA Data Center (IDC) has a new tool to help. In order to obtain high-quality data, states must ensure that the answers in their State Supplemental Survey-IDEA (SSS-IDEA) are correct and align with the data files they submitted to EDFacts. With that in mind, IDC has released the IDEA Part B SSS-IDEA Crosswalk. The crosswalk serves as a reference for any point in the data submission cycle. It clarifies the connections among 1) state-submitted metadata; 2) the submission errors or business rules that a submission might trigger; and 3) comments states receive from OSEP if the data they submit to EDFacts do not align with the SSS-IDEA responses. The President recently drew national attention to the long-standing opioid crisis that is affecting the lives of many Americans. His declaration decried the opioid crisis as a national public health emergency. In the wake of this apt and important declaration, we are highlighting a relevant brief previously developed by OSEP, "Intervention IDEAs for Infants, Toddlers, Children, and Youth Impacted by Opioids". This is one in a series of Intervention IDEAs briefs that describe interventions for practitioners and parents that address the academic, developmental, and behavioral domains of infants, toddlers, and school-aged children and youths with or at risk of disabilities. On Nov. 17–18, 2017, the Council of Chief State School Officers (CCSSO) joined OSEP’s Collaboration for Effective Educator Development, Accountability, and Reform (CEEDAR) Center to host the first convening of the National Collaborative on Inclusive Principal Leadership (NCIPL). NCIPL is a coalition of diverse organizations committed to changing policies and practices related to principal preparation, professional learning, and school improvement. 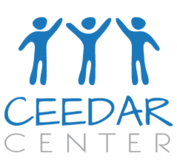 It was founded on the principles established by CCSSO and CEEDAR in PSEL 2015 and Promoting Principal Leadership for the Success of Students with Disabilities. The NCIPL convening brought together its members—who represent principal associations, national nonprofits, principal preparation providers, higher education, ED-funded TA centers, and CCSSO—to curate resources and provide recommendations that support states in their efforts to advance effective inclusive learning environments for all students, including those with disabilities. Resources shared and guidance developed at the convening will be collected and disseminated by CCSSO. NCIPL also plans to identify two or three states where there is significant overlap in the TA they provide, in order to test the impact of a more streamlined and coordinated approach to service delivery in this area. 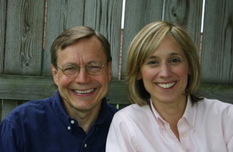 This month we had the opportunity to interview Julie Sarama and Doug Clements, professors and Kennedy endowed chairs at the University of Denver, about their research on young children’s mathematical thinking and the evidence-based approaches to teaching math to young children. Check out the interview on the OSERS Blog, where Sarama and Clements share their work and suggestions for making early math an important aspect of high-quality preschool.